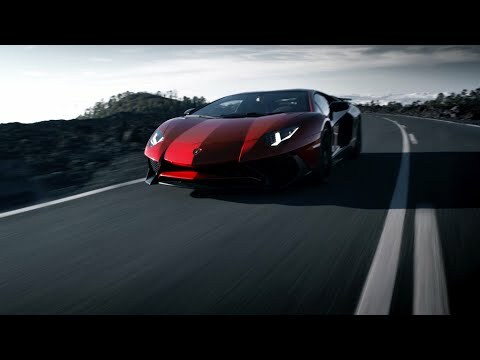 The Superveloce was developed as the Lamborghini with the sportiest DNA, thanks to an enhanced V12 aspirated engine, engineering solutions geared to the most extreme lightness and an array of innovative technologies such as magneto-rheological pushrod suspension and Lamborghini Dynamic Steering. Every single detail of the Aventador Superveloce has been optimized to achieve the lowest possible weight, whilst including new technologies to enhance dynamics and the driving experience. The 'SV' suffix has graced high performance versions of the Miura, Diablo and Murcielago in the past, so we know what to expect with the Aventador SV; even more power and performance from the Lamborghini flagship model. A visionary and extremely sharp design developed to achieve optimum results in terms of aerodynamics: this is what you will see in the new Lamborghini Aventador LP 750-4 Superveloce. The intensely sporting imprint of the Aventador SV can be seen in its every line and is underlined by the choice of materials, especially the ultra-lightweight carbon fiber. Lamborghini's focus on stripping the Aventador down to its purest essence can be seen in every detail of the SV. This applies most of all to the interiors, where you won't find soundproofing or navigation systems but will, on the other hand, be able to touch the bare body of your car. The carbon fiber monocoque forming the cockpit is visible in certain points in fact. A focus on weight reduction while incorporating innovative technologies has resulted in the most sports-oriented, fastest and most emotional series production Lamborghini ever. The weight has been further reduced by 50 kg through enhanced lightweight engineering including significant use of carbon fiber. Superveloce, responding immediately to road conditions and driving style: wheel damping is adjusted individually during cornering, largely suppressing body roll and making the steering and handling even more responsive. The adaptive damping also counteracts brake diving.